A senior with reduced vision may not see a small foot sore that could quickly develop into a major problem. Hired Hands’ professional California caregivers can inspect the diabetic’s feet daily and coordinate care with the physician if attention is required. 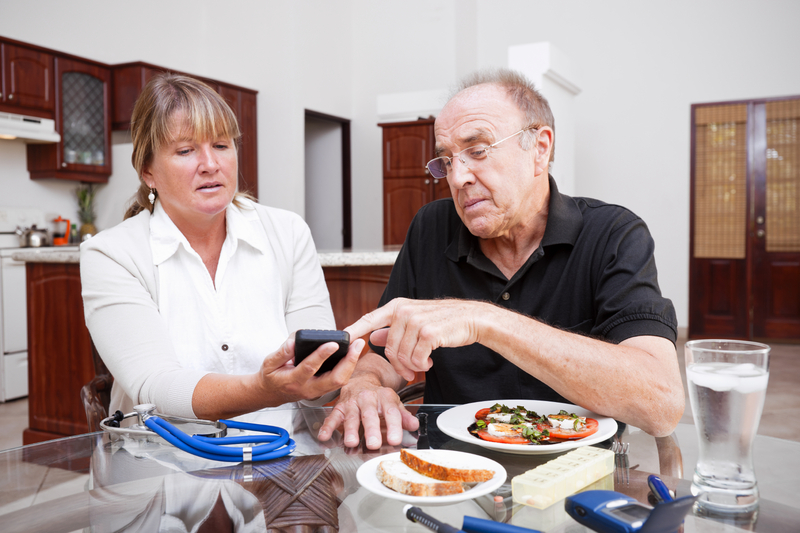 An in-home caregiver can work with the diabetic’s physician to learn about his or her dietary restrictions and recommendations and plan and prepare tasty, diabetic-appropriate meals. An in-home caregiver can assist with a physician-approved exercise program. An in-home caregiver can provide reminders for glucose testing and can schedule and provide transportation to and from regular physician checkups. Coping with diabetes requires a reasonably high level of cognitive or mental function, given the need to follow a treatment plan that includes diet, exercise, and medication components as well as blood sugar testing and other self-care measures. 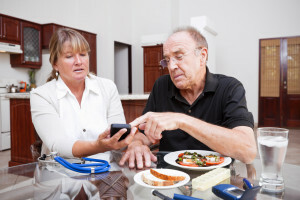 Additionally, those with diabetes have a higher incidence of both dementia and Alzheimer’s disease, making it even harder for them to perform multiple, complex tasks. Even garden-variety memory loss associated with aging can impact how well a person deals with diabetes. At Hired Hands Homecare, we serve diabetic patients in Napa, Sonoma, and Marin Counties, and we understand how important daily diabetes management is to our clients’ health. Contact our dedicated home care team today to learn how our in-home care services can help your loved ones.